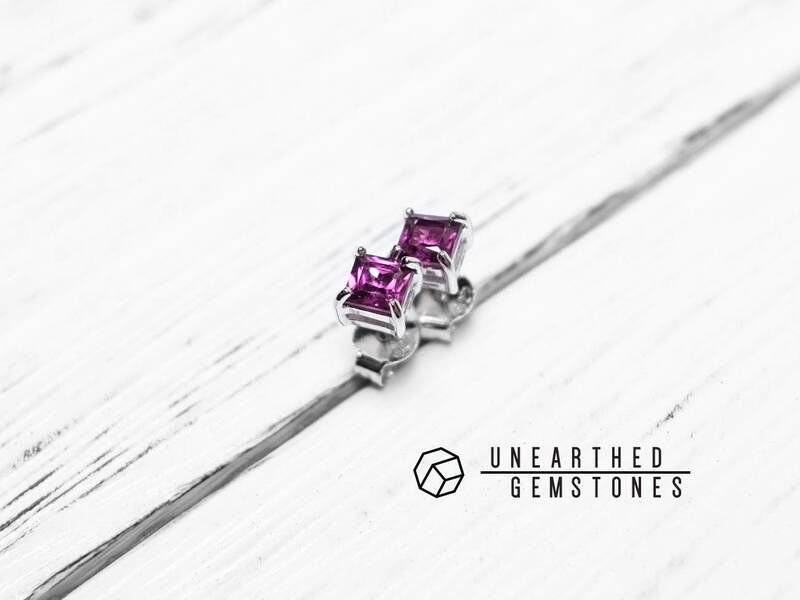 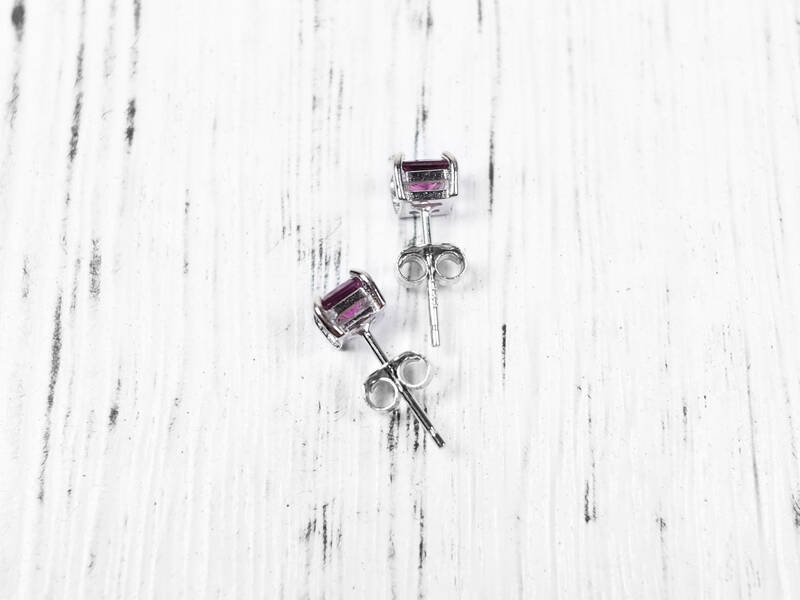 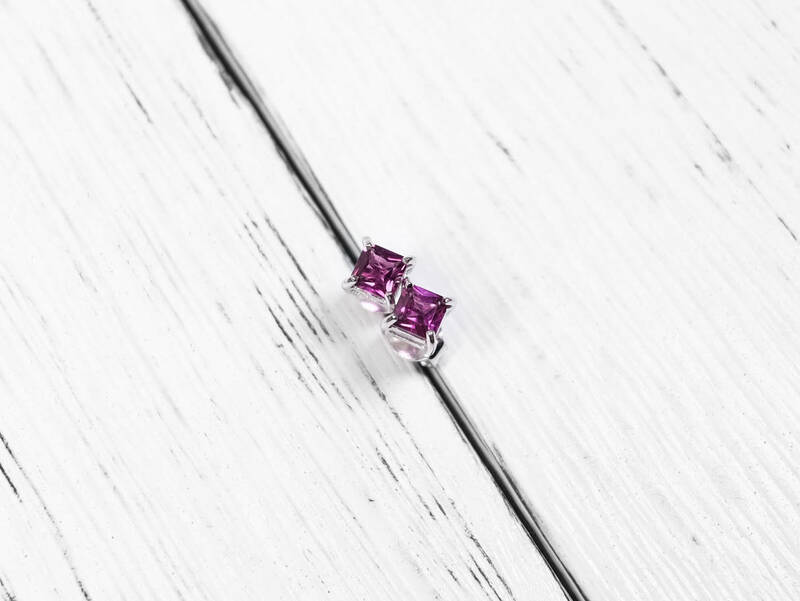 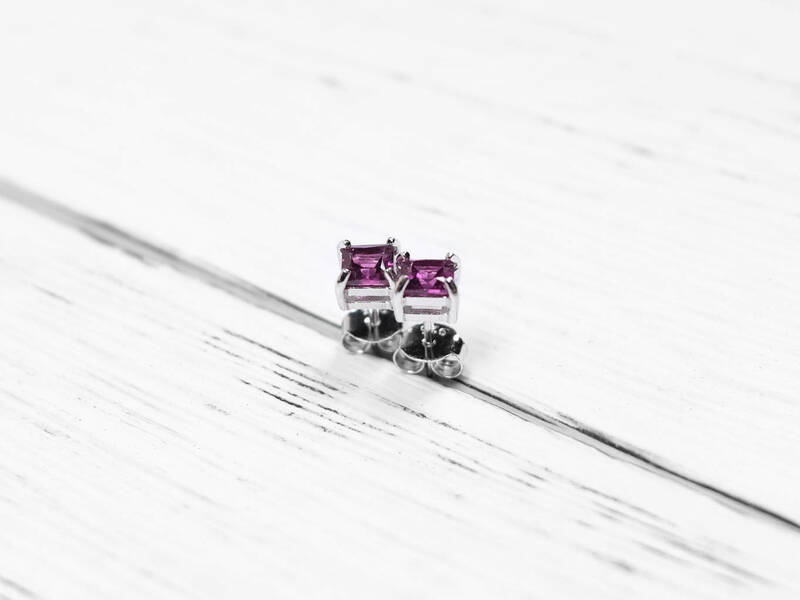 These stud earrings use a pair of vivid purple rhodolite garnet. 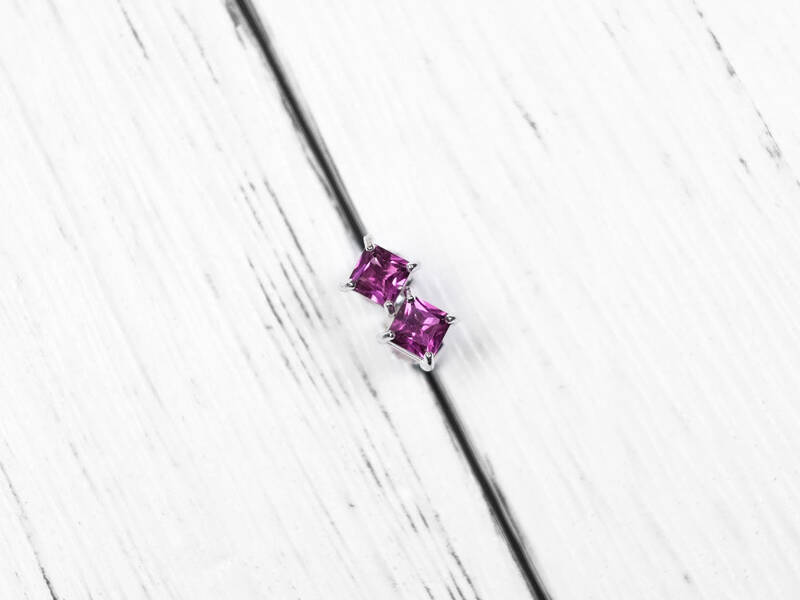 They have a rich grape purple color and are very clean. 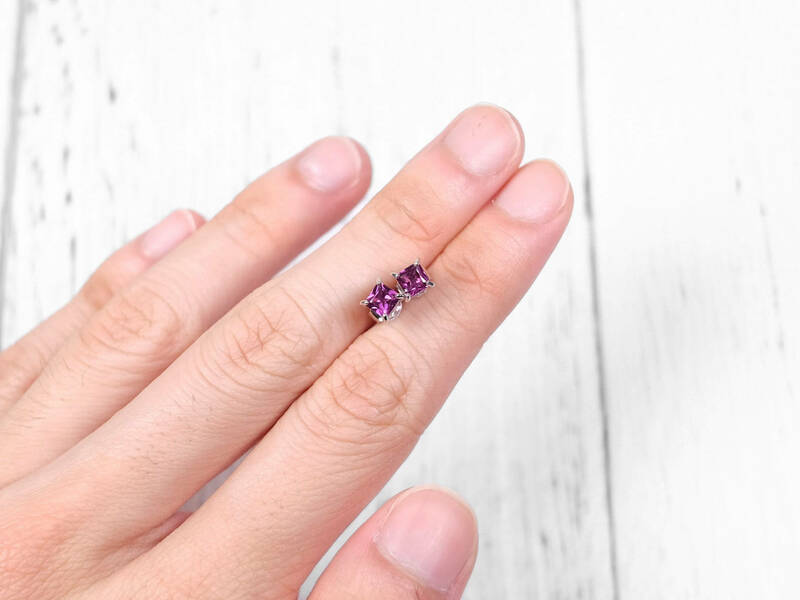 The square cut allows the garnet to sparkle beautifully. 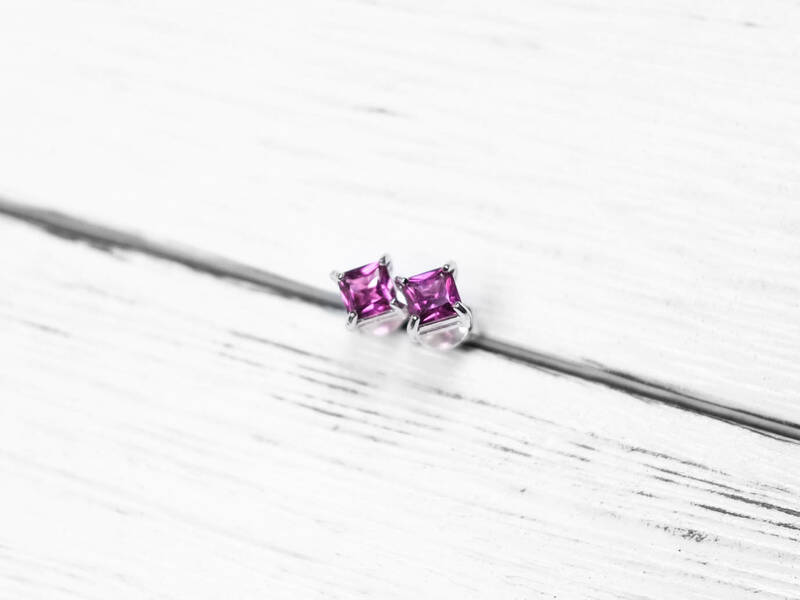 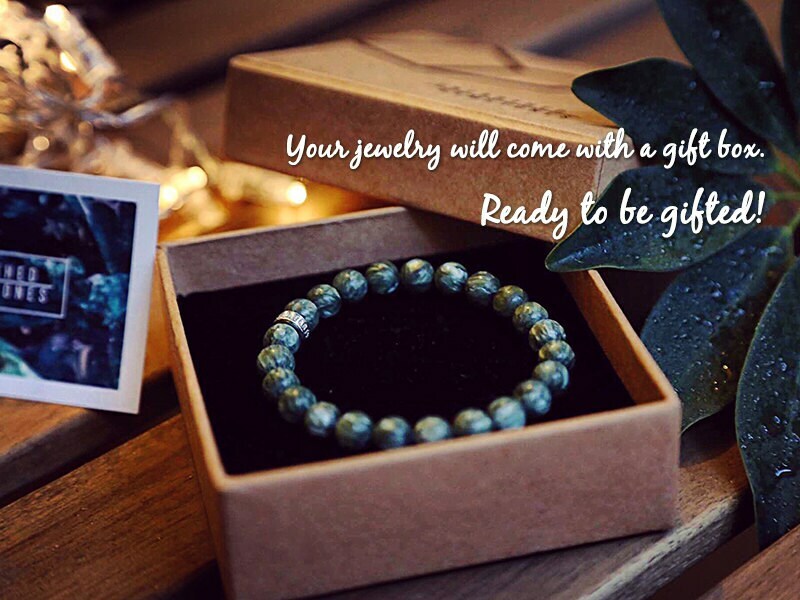 The gem is set in a sterling silver setting.